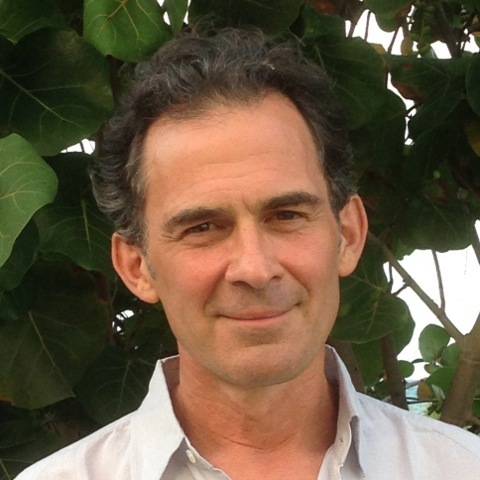 A special one-day event in Sebastopol with Rupert Spira! “I am aware of thoughts, I am aware of images, I am aware of feelings, I am aware of sensations, I am aware of sights, I am aware of sounds, I am aware of tastes, I am aware of textures, I am aware of smells, I am aware...I am aware...I am aware..."
What is it that remains present throughout our lives? Only that is worthy of the name ‘I’. See that the experience of ‘being aware’ never leaves us; it cannot be parted, separated or removed from us. That alone is ‘I’. Being aware, or aware Being. What would happen if we ceased being fascinated by what we are aware of and became interested instead in the experience of ‘being aware’ itself? Be aware of being aware. That is the essence of self-enquiry; that is self-remembering; that is sinking the mind into the heart; that is the practice of the presence of God. Allow the experience of ‘being aware’, the knowing of our own Being – its knowing of itself in us – to come out of the background of experience and into the foreground. Allow it to infiltrate, pervade and saturate all thoughts, feelings, sensations and perceptions with its luminosity and emptiness. See that all experience shines with the infinite light of your own Being alone. From an early age Rupert Spira was deeply interested in the nature of reality. At the age of seventeen he learnt to meditate, and began studying and practicing the teachings of the classical Advaita Vedanta tradition under the guidance of Dr. Francis Roles and Shantananda Saraswati, the Shankaracharya of the north of India, which he continued for the next for twenty years. During this time he immersed himself in the teachings of P.D.Ouspensky, Krishnamurti, Rumi, Ramana Maharshi, Nisargadatta and Robert Adams, until he met his teacher, Francis Lucille, in 1997. Francis introduced Rupert to the teachings of Atmanada Krishnamenon, Jean Klein and the Tantric tradition of Kashmir Shaivism, and, more importantly, directly indicated to him the true nature of experience. Rupert lives in UK and holds regular meetings and retreats in Europe and USA. For further information see www.rupertspira.com. His two books, The Transparency of Things, subtitled Contemplating the Nature of Experience (2008) and Presence in two volumes, subtitled The Art of Peace and Happiness and The Intimacy of All Experience (2012) are a profound exploration of the non-dual nature of experience. A book of sayings – The Ashes of Love – and a collection of meditations on the essence of non-duality – The Light of Pure Knowing – are due for publication later this year. View a clip from the DVD with Rupert Spira "The Unknowable Reality of Things"